Today we hit a huge milestone in the early life of 1871 - we hosted a visit by a foreign head-of-government. And it wasn't just any head-of-government, this was the Prime Minister of the United Kingdom, David Cameron! 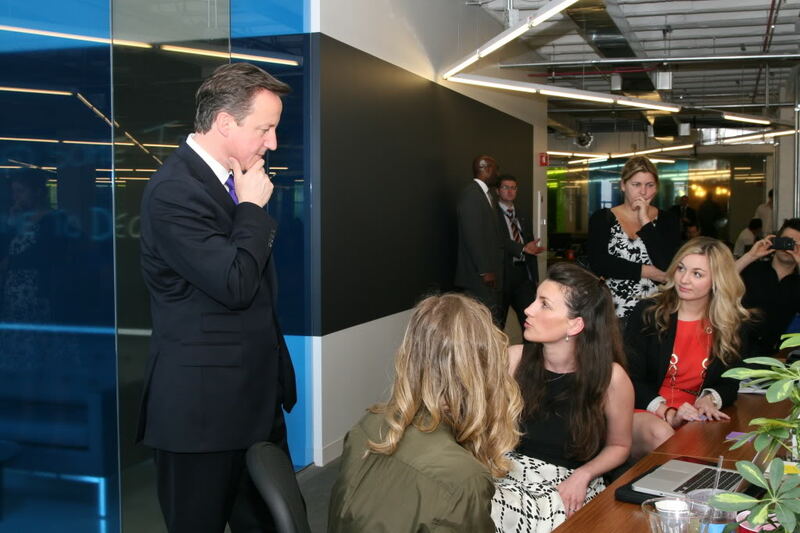 Prime Minister Cameron is in Chicago for the NATO Summit this weekend and his local British Consul General, Robert Chatterton Dickson, reached out to 1871 to see if he could visit some of Chicago's startup companies. He has been a huge supporter of digital startups in the UK - particularly around the eco-system being built in Tech City UK. As the Prime Minister walked through 1871 he spoke with a number of startups along the way including Code Academy, FunRaising Events, SimpleRelevance, Toodalu, Cara Health, ProOnGo, Globus @ Computation Institute, CheekyChicago, and the CEC team! He then hosted a roundtable discussion in the Excelerate space with the CEO's of some of Chicago's largest corporations: Allstate, Caterpillar, Walgreens, Groupon, Northern Trust, and Kraft. These CEO's were also impressed with the 1871 community and toured the space afterwards. We always hoped that 1871 could be a showcase for Chicago's great digital entrepreneurs to government leaders from around the world and we are so proud to have had such an influential world leader as the Prime Minister of the United Kingdom as our first head-of-state visitor. We look forward to forging strong ties with our counterparts in the UK and building successful high-growth startups together.